Heat oven to 350°F. Place bread slices on ungreased 15x10-inch baking pan. Bake 8 to 10 minutes or until crisp. Coarsely chop shrimp. In large bowl, gently mix shrimp and all remaining ingredients except bread; set aside. Spoon shrimp mixture onto toasted bread slices. If desired, top with additional sliced green onions. 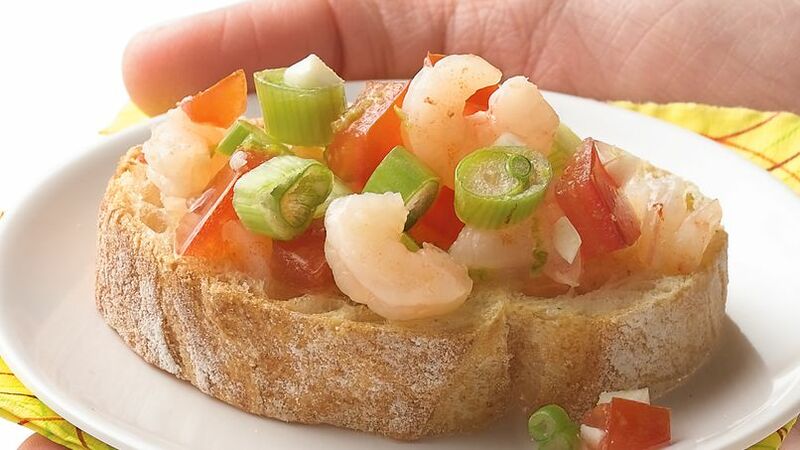 Bursting with fresh citrusy flavor this shrimp crostini can be prepared in just 20 minutes.